If you are stuck inside and looking for fun indoor activities, check out the Adoption Rewards Program at PRANA RUN. The program offers exclusive discounts and promotions solely for rescue families. It’s free to join and there are over 40 companies participating including Fetch Eyewear, Petsies, Only Natural Pet and my personal favorite Kind Style Shop. All partner brands are cruelty-free and pro-rescue – so you can feel good about supporting them! 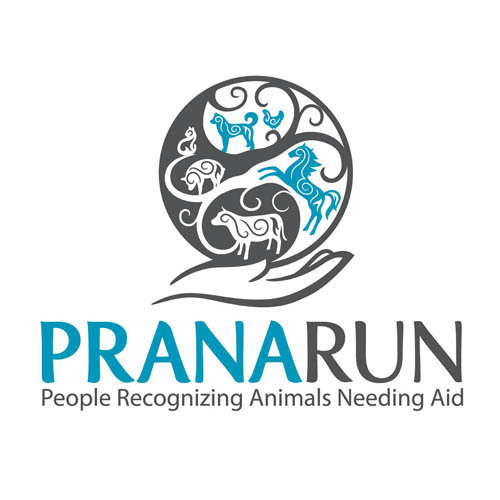 The lovely folks at PRANA RUN have chosen me as their ambassador dog so I will be sharing more information about their mission and adoption awards program over the coming months. Stay tuned! I KNOW what you mean. THREE weeks in a row here! Unheard of till now. Howdy sweet Ruby! You would be a wonderful ambassador for anything and everything sweet girl! Hi there Ruby, you sure look cute in your pink sweater. Sorry about all your rain. Hope it stops soon for you. You all have a wonderful day. Momma is SO MEAN and won't turn off the rain so I can go outside!! AND today she even made it COLD and rainy, like rainy alone wasn't enough. Ruby, you're always so pretty. Pink really suits you. That's a really neat site, definitely need to check it out. Thank you. Looks like our rain may have stopped, and it took most of the snow with it. Lots of rain makes cranky people, tho'! Very cool! I'll have to check them out. They picked the perfect dog ambassador, so they must be great! The rain is so dreary and depressing. We have warm temps and sunshine today at my house. Come on over, Ruby! Ruby, you are the perfect ambassador dog, looking so pretty in pink on your window sill. Could we have a bit of your rain, please? Not lots, but some. Are you ready to get outside? Harley hates the rain and Jaxson loves it. We've been rain free for the past week, but I'm sure it's coming our way soon. Chin up, it's got to stop eventually. Mommy is going all squee! You look cute in that second photo. Congratulations on being an ambassador dog! We are getting too much rain here on the Bayou too. We got a lot of rain too. Too much! You’re gonna be a great ambassador dog, Ruby. Do tell me more, Ruby! Tw loves to spend money on cruelty-free stuff. Looking at the rain isn't much fun. Congrats on being chosen as the Ambassador dog. Send the rain here. We haven't had rain in over 100 days. Rain is depressing, especially in the winter. Not fans around here. Hope the sun comes out for you soon. No rain here, just bitter cold and some snow. We do't mind the snow but that cold is rough. Hopefully more springlike weather is just around the corner. Congrats on being named an ambassador for a great group. Rain is so boring. But you look very good. Congrats on the cool sponsorship. We know the feeling … and I usually love the rain! It could be worse, Ruby, we're getting freezing rain right now!We look forward to learning more about this….online shopping is definitely a favorite rainy day activity around here (as long as it's pet shopping!). It's all rainy and stuff here, too, Ruby. We hope the sun comes out soon!